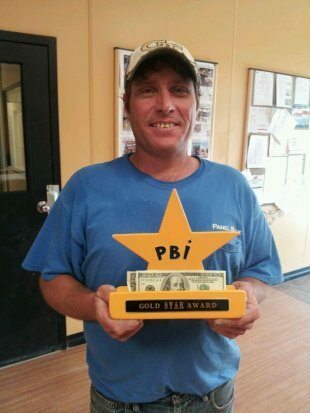 As a means of recognizing employees who have distinguished themselves at Panel Built, General Manager Dave Arnold has instituted the “Gold Star Award” program! Panel Built is proud to have an employee that possesses such tremendous work ethic and one that takes such pride in the work that he does for this company. Bart is not only an inspiration but an example of what it takes to truly strive towards World Class.